Podcasts are not new. They have been around for 15 or more years. Originally borrowing much from radio formats, they now have their own individual identities. Pronounced dead several years ago by many in the new technology sector (I was never convinced) it has recently enjoyed a major resurgence. When YouTube burst on the scene with its shiny, bright videos on all manner of topics it suffered a slump. But the latest figures from Rajar (Radio Joint Audience Research) indicate that 6m of us in the UK listen to a podcast each week. A major leap from 3.8m in 2016. The most compelling recent research findings though are from Edison in the US. These show podcasting’s high dwell time, with consumers spending an average of 20 minutes listening to a podcast episode. Startling compared to the average time we visit a website – a few seconds! There’s no doubt that exponential growth of smartphone usage has played a big part in this growth, alongside freely available wifi and attractive data bundles included in mobile contracts. Commuters can easily download and listen to their favourite podcasts travelling to and from work. With a dizzying choice of genres: drama, comedy, factual, documentary or history shows -there’s something for everyone. In the business podcasting niche, the Financial Times alone has 16 podcasts. And if you have a thirst for self-directed learning there’s a ‘how to’ podcast on any subject you can imagine. The BBC has an impressive choice to suit all tastes. Even Spotify jumped on the bandwagon last month, launching its first podcast ‘Ebb & Flow’ hosted by Jasmine Solano (sponsored by ‘New Amsterdam Vodka’!). Such is podcasting’s popularity in the UK that it was given its own award ceremony last year (the British Podcast Awards) and last month the London Podcast Festival was hosted in the capital for the third year running. Obviously there are many professional broadcasters and actors in this space. But there are also many experts in their field invited to be interviewed by the thousands of podcast hosts: some with huge audiences, others far smaller. Often guests will never have had any media training or, more importantly, specific vocal training. 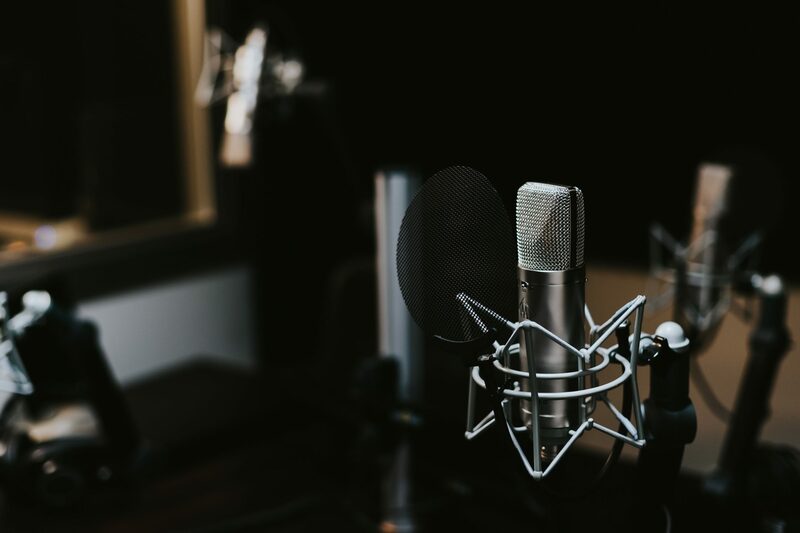 Because podcasting is an auditory medium, the focus on the voice is even more important than in video or a standard presentation. Working with a client on, say, being interviewed by a high profile podcaster in their market niche, we will focus our time on, for example, reducing disfluencies and ensuring modulation rather than volume is used for emphasis. Mean pitch is also important, although vocal attractiveness is subjective. Interestingly, men find a high-pitched woman’s voice more appealing than a lower-pitched one. Personally, I find high-pitched voices impossible to listen to for a prolonged period. I also dislike overuse of nasal resonance (male or female). This could be because I have a strong auditory preference (a musician and voice coach!). Your preferences may be quite different. To illustrate, I spent some time analysing the differences and my preferences in vocal qualities of well-known podcaster Amy Porterfield when interviewed by Andrea Joy Wenburg on her podcast ‘Voice of Influence’. I find the latter’s voice hard to listen to, whereas Amy Porterfield has several vocal qualities that appeal to my ear. A lower mean pitch (168Hz) often indicating higher dominance and therefore implied status; good modulation and moderate use of volume for emphasis. By contrast, Andrea’s mean pitch is high (253Hz). Her voice is breathy with much nasal resonance. She tends to use ‘upspeak’ (very fashionable, apparently), making her statements sound like questions. There’s also my personal challenge as a Brit of listening to American accents. But there’s some great content stateside. Award-winning podcaster, John Lee Dumas, is one of the higher profile figures in US business podcasting, launching Entrepreneur on Fire in 2012. Three years later he was featured in this article in Forbes. Having spotted a gap in the market, he hosts and produces (with his wife, Kate) this hugely popular show, publishing an episode daily from his home in Puerto Rico. Although his guests and content are impressive (he also offers high-quality free and paid training products) I’m not a fan of his voice. He has high mean pitch, overuses nasal resonance and speaks rapidly. But that doesn’t deter his massive fan base. JLD (as he calls himself) has attracted millions of regular listeners to his show since it started. He’s interviewed over 2000 entrepreneurs, including Tony Robbins, Seth Godin, Barbara Corcoran and Tim Ferriss. Podcasts are usually pre-recorded; mistakes can be edited. Relish the fact that someone may be devoting a fair amount of their time listening to you!